Jimmy Stewart had one in Harvey. His pooka was a benign rabbit, unseen by most of humanity, that was precisely 6 feet 3 1/2 inches in height. Stewart’s character, Elwood P. Dowd, was a known and decidedly content tippler. “Well, I’ve wrestled with reality for 35 years,” says Dowd to the doctor who was passing judgment on his lucidity, “and I’m happy to state I finally won out over it.” While these creatures of folklore can take many forms, one wonders just how much wine would be necessary to make two otherwise sensible, urban-dwelling people, Sue Stovall and her late husband, Hunter, see goats. “The story is well known that we had too much wine one night and decided to buy goats,” says Stovall. “Very good wine. There was a lot of it probably.” And so Paradox Farm was propelled down its dirt-road, cloven-hoofed path. Just as their porch reading advertised, a dairy is hard work. “We would get up in the morning. He would feed and I would milk. We’d go in the house, take a shower, change our clothes and go to work. 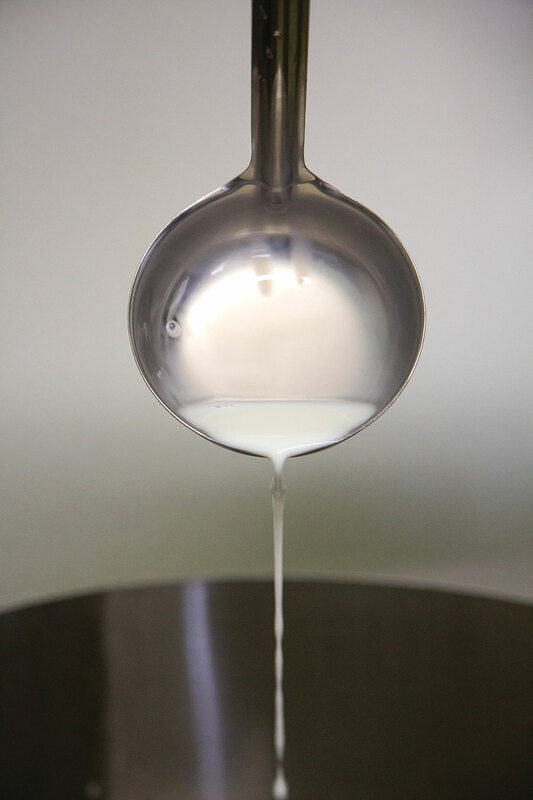 Come home, change our clothes, feed and milk and do whatever we needed to,” says Stovall. “On weekends we would go to markets. I was doing Southern Pines and he was doing Cary. We had both gone to market that morning, which means he had to leave about 6:15. He went to market, came home and lay down to take a break before evening activities, got up and had a heart attack.” That was four years ago this August. Stovall has two daughters who are Moore County residents, Ariel Davenport, who owns Set in Stone/The Slab Warehouse, and Kassia Stubbs, who works for Moore County Schools. Her son, Mike Kowalick, lives in Seattle, Washington. “My girls are not farm kids at all but they support my efforts,” says Stovall. Her son helps with strategic plans — how to lower the power bill, marketing ideas, etc. It was Mike who suggested his mother engage interns from World Wide Opportunities on Organic Farms. “He was trying to figure out how I was going to survive without Hunter,” she says. Beri Sholk from Orlando is there now, the sixth WWOOF intern who’s worked at Paradox Farm, trading labor for knowledge, something that’s turned out to be a two-way street. The interns have been from California, Florida, even the Republic of Mali, West Africa. “It’s really expanded my world,” says Stovall. 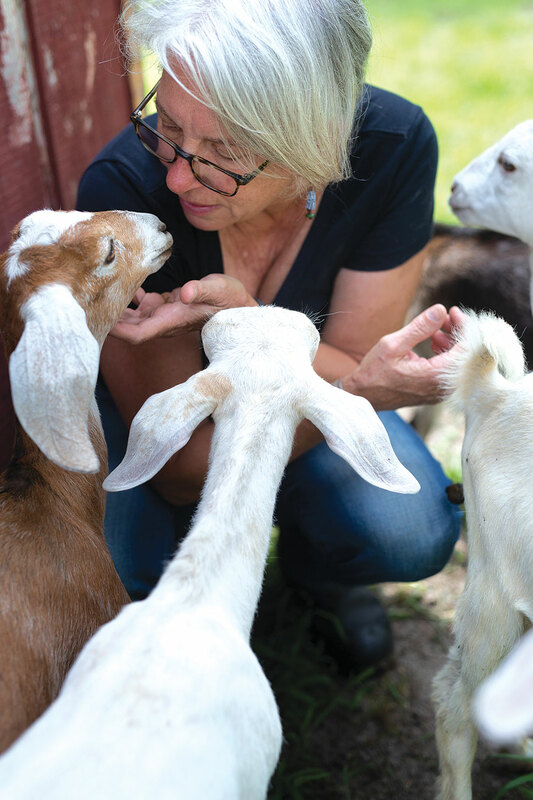 The 61-year-old Stovall’s skills from her previous occupation can come in handy, getting the kinks out of a farm hand’s neck, fixing a goat’s broken leg, or putting a brace on Beri’s left arm after she was kicked — the goat version of negative feedback. “Farming is a full-contact sport,” says Stovall. 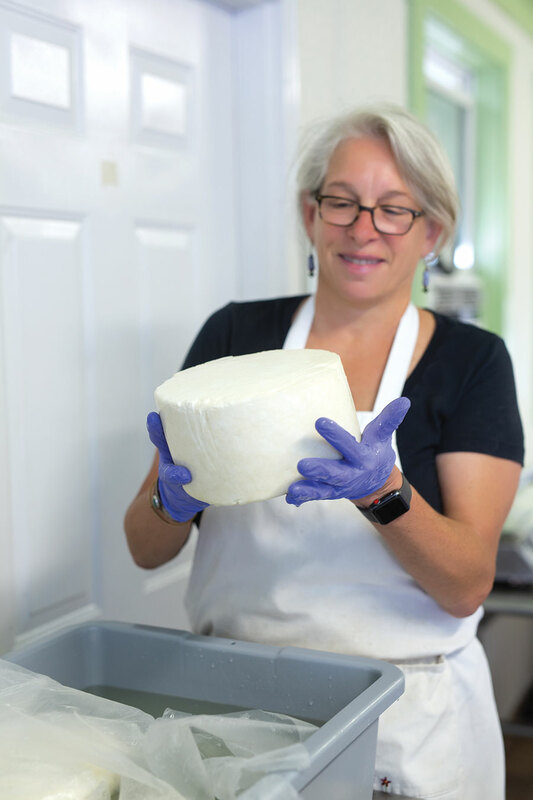 The Paradox Farm cheeses show up at places like Southern Whey and Nature’s Own in Southern Pines, the Corner Store in Pinehurst, Black Rock Winery and restaurant’s like Ashten’s and 195, just to name a few. 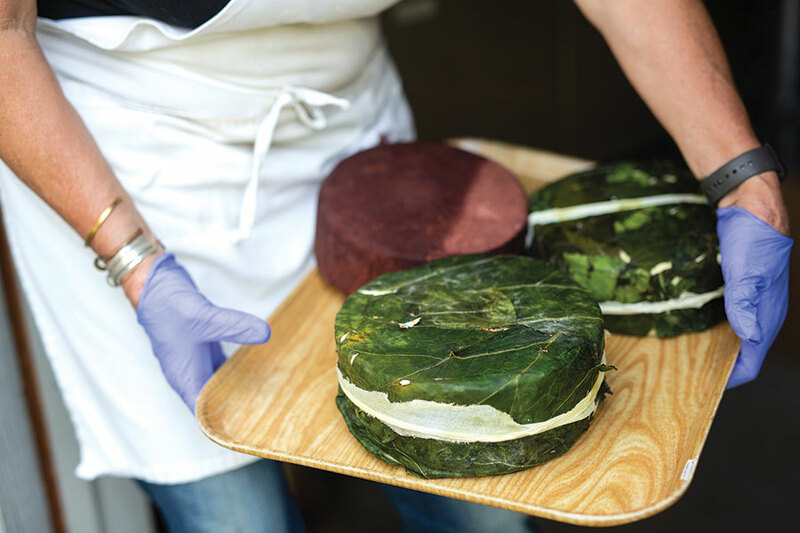 Wrapped, infused, washed and aged, the flavors (and puns) are as wide-ranging as the names would suggest: Drunk N Collard; Sweet Hominy; Red Eye, Feta Complee, Paradox Paneer and Cheese Louise! 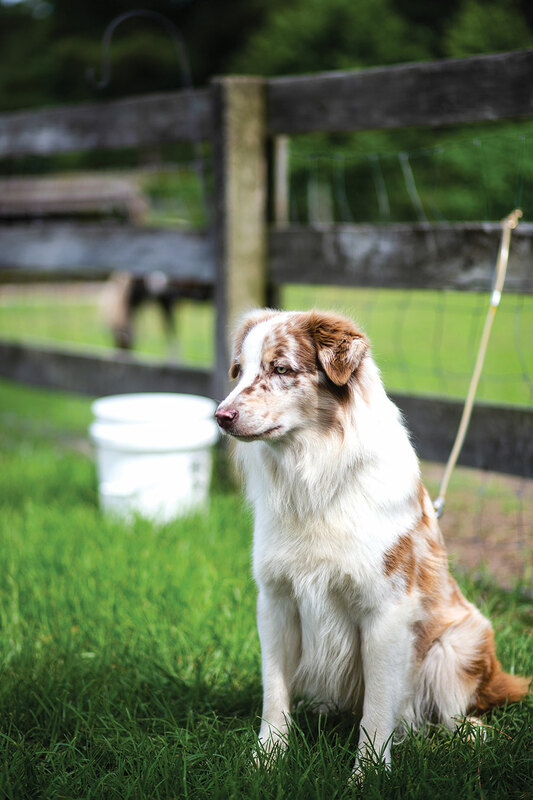 Making a small farm sustainable, however, is a value-added proposition. With the help of a grant from the University of Mount Olive, Stovall bought an old tobacco barn, broke it down and reassembled it on her farm. Half of the barn will be a cheese cave for aging. The other half will amount to a mini-storefront. “We do farm events. The last couple of years we’ve had hundreds of people come out on a Sunday afternoon, tour the dairy, see the goats. We do ‘Goat Yoga’ once a month. And we have pairing events where we pair cheese with something. Our first one was beer and cheese. We’re doing cheese, wine and desserts with Black Rock and the Wine Cellar. I’m determined to make this work,” says Stovall.